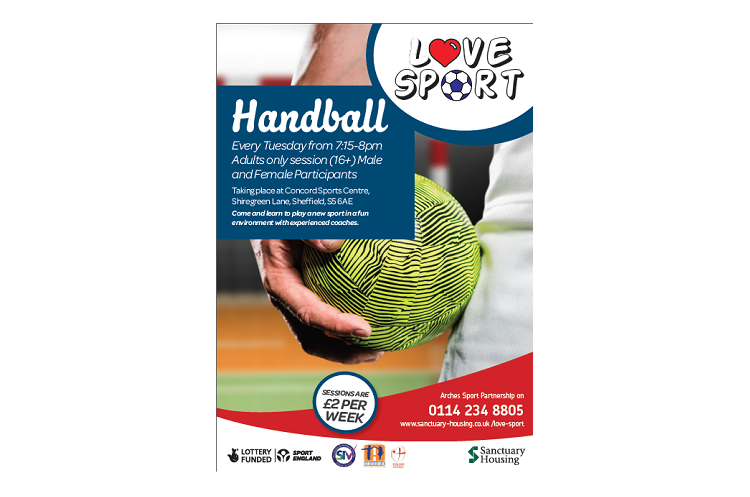 You can give handball a go in Sheffield every Tuesday from 19.15-20.00 at Concord Sports Centre, Shiregreen Lane, Sheffield, S5 6AE. There are also sessions for juniors aged 8-16 on Tuesdays from 18.30-19.15. Sessions are £2 a week. Go along and have a go at the most exciting, high scoring, action packed team sport that can be played for fun or competitively.